IPL 2019 Live Score, CSK vs RR IPL Live Cricket Score Online: The Chepauk pitch was under scrutiny and so the powers that be had decided to put up a tent of some sort over it before Sunday’s match between CSK and RR. Don’t know how much of an effect that will have but MS Dhoni replacing Harbhajan with Mitchell Santner indicates that he reads this pitch as a little more batsman-friendly than what was the case earlier. Earlier in the day, SRH blew RCB out of the park with a 118-run win. Jonny Bairstow and David Warner’s centuries powered them to 231/2 and RCB in reply were 113 all out. The IPL match between Chennai Super Kings and Rajasthan Royals will be broadcast on Star Sports 1, Star Sports 1 HD and the live Streaming of the today IPL match will be available on Hotstar. 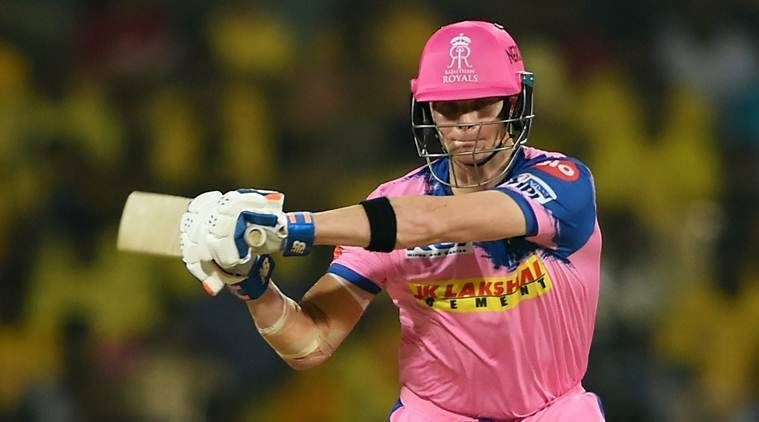 IPL 2019 Live Score, CSK vs RR IPL Live Cricket Score Online: The RCB would need to look beyond captain Virat Kohli and AB de Villiers, who single-handedly kept the game alive till the last over against Mumbai Indians, scoring a brilliant 70 off 41 balls, but lack of support at the other end hampered the team’s chances. After Kohli’s dismissal for 46, no other batsmen chipped in to support de Villers. RCB must click as a batting unit if they want to post their first win of the season on Sunday.